In the early days of summer 2017 it was our honour to arrange the beautiful wedding day of Georgie and Guy. It started with a Skype call and went from there – we stayed in regular contact with the couple and using our island knowledge, suggested how to make the little touches they wanted to make their wedding special and unique become reality. From hair and make up, to the evening munchies for the hungry guests, to the marquee and the transport. We made sure we covered every base to make Georgie and Guy’s big day completely unforgettable. 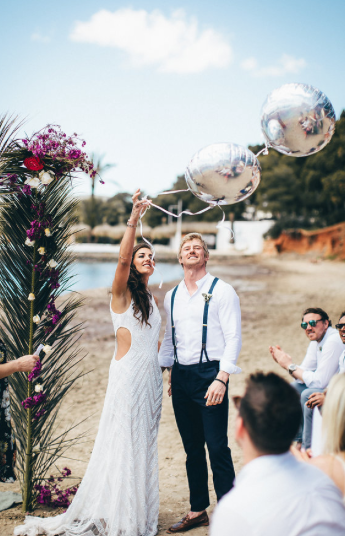 Georgie & Guy proved that you don’t always have to have a huge extravagant party on this island to enjoy a seriously special wedding. They opted for an intimate and relaxed wedding with their closest friends and family. 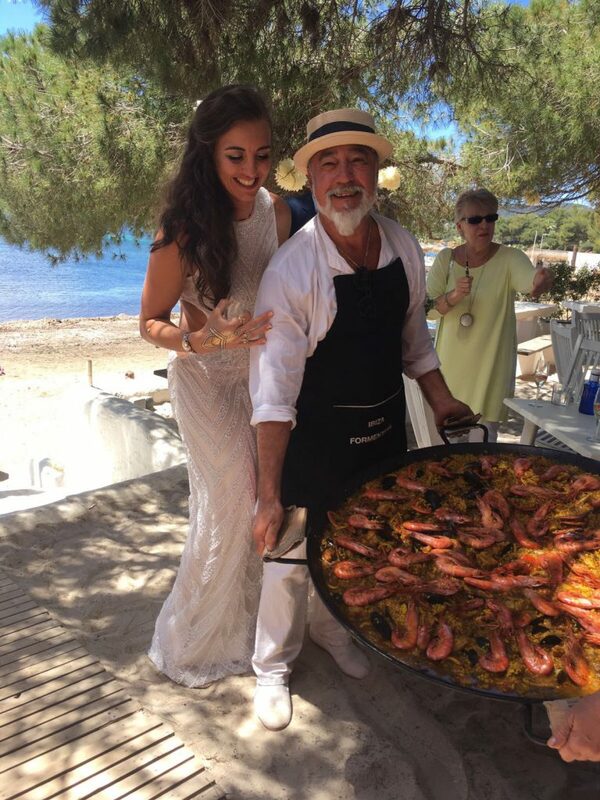 The result was a beautiful ceremony at S’Argamassa beach followed by a reception at Cesar’s Chiringuito where guests ate paella and drank traditional Spanish sangria. After dinner, minibuses chauffeured everyone to a private villa in San José to party late into the night. The villa party featured an open marquee with a DJ and sound system, a pop up bar with waiting staff, and even a video message from one of the best men, who at the last minute wasn’t able to make it, although did make it to the sunset boat party a couple of days later! Needless to say the party continued into the small hours, and when the groom’s party all jumped in the pool fully clothed, we were ready with warm towels when they got out! 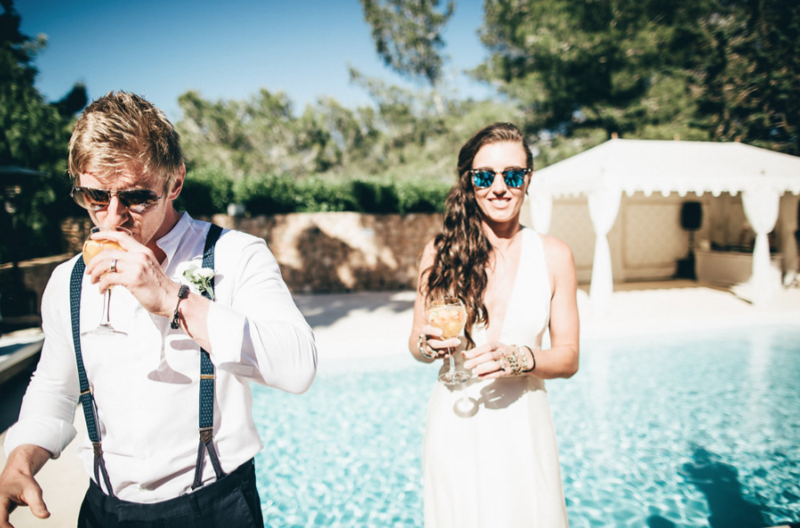 “Where do I start…We have had the pleasure of working with Roy, Juliette and Louise from Taste Ibiza for the last year whilst trying to plan our wedding out in Ibiza! They have been an absolute dream to work with, nothing is ever too much, I ask a question and within a few hours they have come back to me with all the answers, options, costs and more! I must have driven them mad with all the back and forth, however they remain super professional and got to know our tastes better than we know ourselves. They supported with everything from benches and lanterns to transport, villas, table bookings, tents, DJ, boats the list is endless and all was to the highest standard. I am now just left feeling sad that I will not be speaking to them on a daily basis! Anyone now visiting the island I will highly recommend them for anything they need. 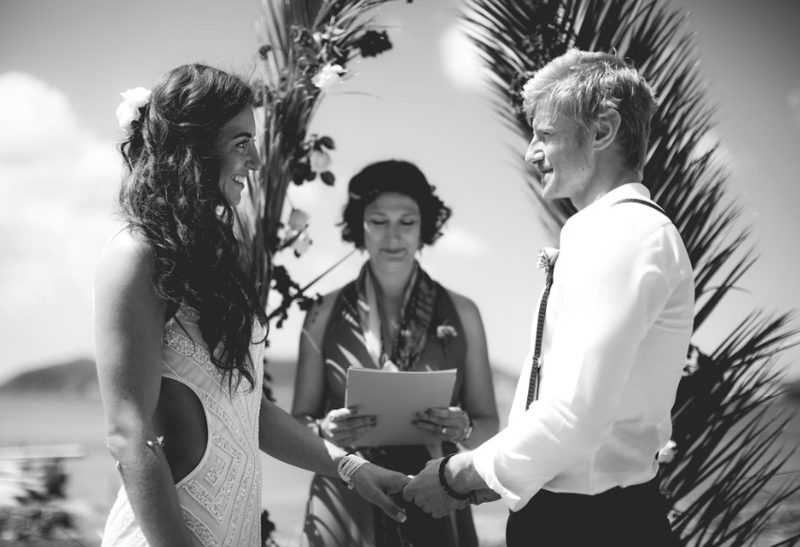 If you are thinking of tying the knot on the magical Island of Ibiza, get in touch.